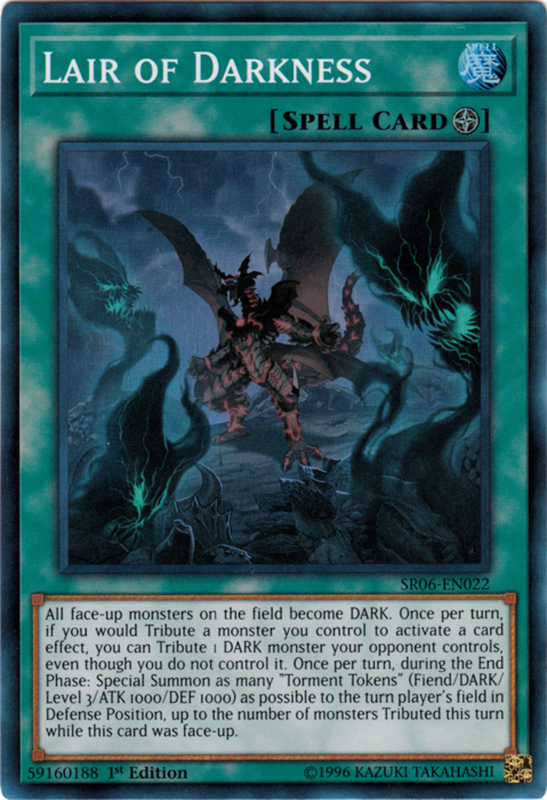 Dark monsters are arguably the most popular attribute in Yu-Gi-Oh, offering a wide variety of abilities. Since they're so abundant, there's a dark monster for just about anything, but they're particularly skilled with graveyard effects, rewarding you for quickly stocking your discard pile. 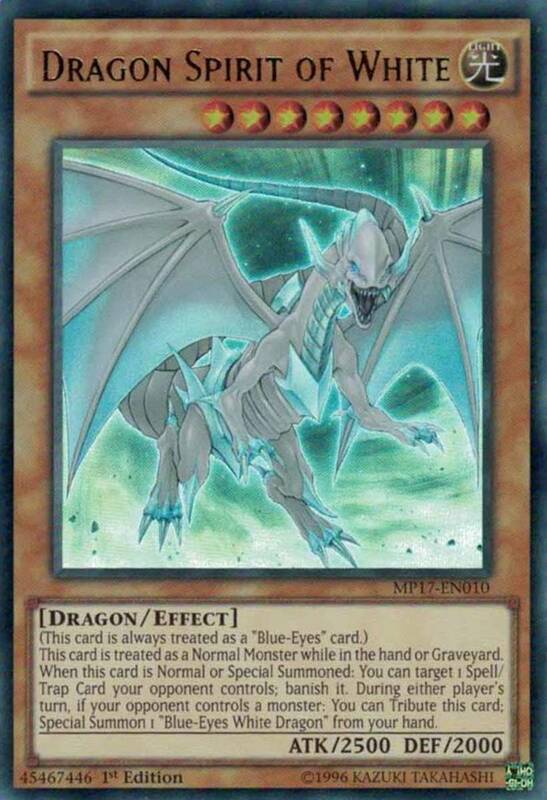 From classic creatures like "Dark Magician" to more-recent aces like "Odd-Eyes Pendulum Dragon," dark monsters maintain a pivotal presence in the competitive arena. 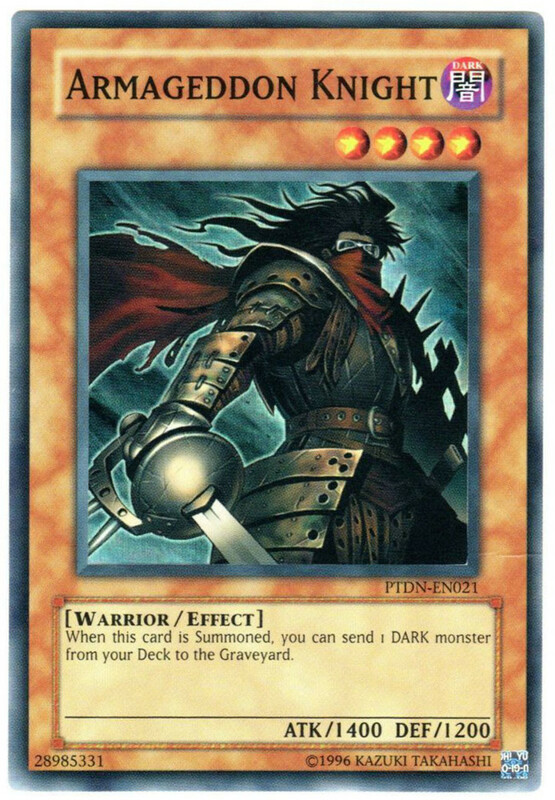 But they're not just limited to archetype-specific allies; here are the ten best general dark supports in Yu-Gi-Oh! The Beginning of the End makes a great mid or late-game spell. 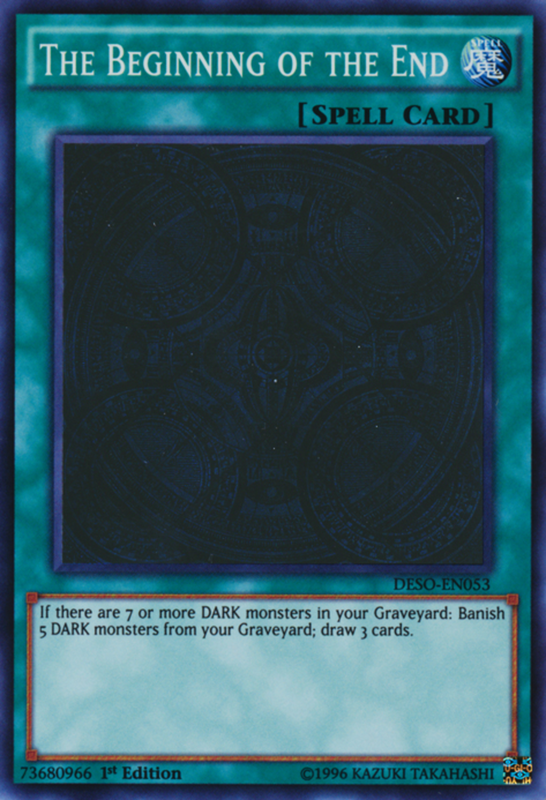 It requires you have at least seven dark monsters in your graveyard; you banish five of them, then draw three cards. Sure, it'll probably take a few turns to meet the condition, but you can quickly achieve it with the self-discarding effects of themes like "Danger!" and "Dark World." And once you achieve the condition, you nab a powerful replenishment tool that outclasses even the banned "Pot of Greed," increasing your overall hand size by not one but two cards. 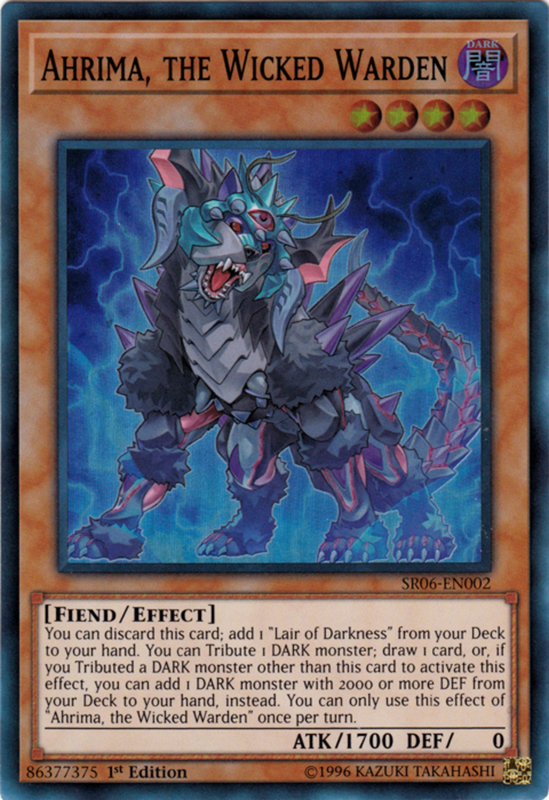 Darklight has you tribute a dark monster with 1500 or more ATK to destroy all monsters special summoned that turn. 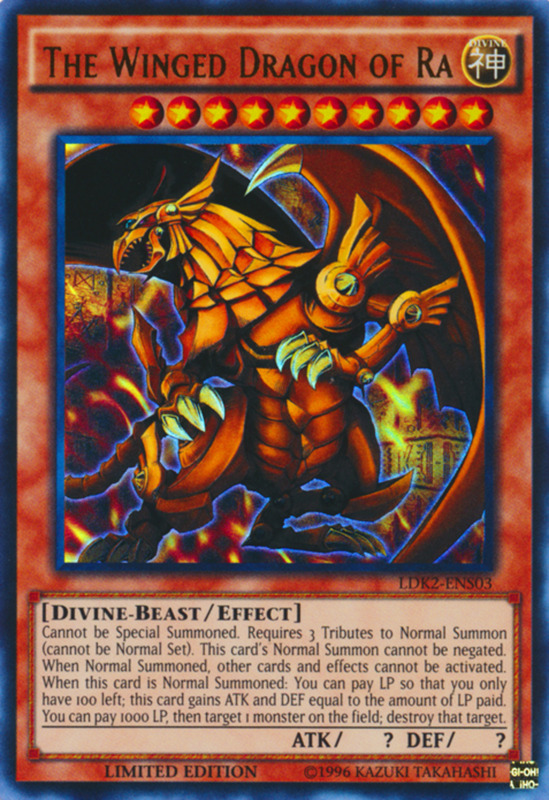 Special summons encompass most arrival methods in Yu-Gi-Oh (including all extra deck cards), making this a great nuke that also bypasses targeting immunities. Since you can activate it on any phase, you can also bait a spell/trap removal, and remember the field spell "Lair of Darkness" lets you tribute an opponent's monster rather than your own to meet the condition. 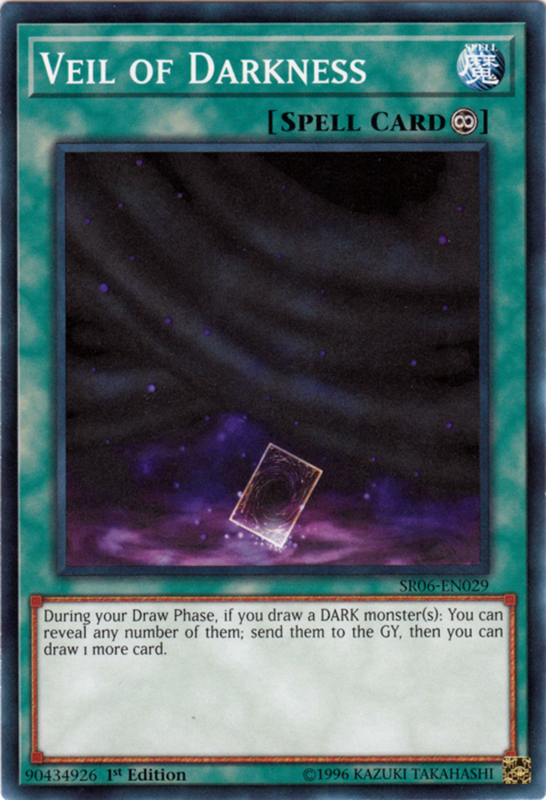 This continuous spell lets you reveal any dark monsters you draw in your draw step to discard them and draw another card. Since there's no "once per turn" restriction, you can utilize the effect repeatedly in a single turn, excellent stocking your graveyard with fodder for Beginning of the End or for Chaos monster summons. You can also harness Veil in Exodia decks, as his components are dark attribute; have Veil mill the pieces into your graveyard, then recover them with the magic card "Dark Factory of Mass Production". Dark Sacrifice negates an opposing effect that would destroy one or more cards on the field, then lets you send a level three or lower dark monster from your deck to your graveyard. Thus, your foe loses their removal and you gain more graveyard fodder. However, remember that Sacrifice only negates its victim (it doesn't destroy it);, so if the activated effect belongs to a continuous card, it'll remain fielded—for the best results, try using it on standard spells or traps that head to the graveyard regardless. The link monster version of classic "Witch's Apprentice", Wee Witch has low ATK, but she accepts any two dark monsters as material and offers two backwards arrows without granting any to your opponent. More than that, she boosts the ATK/DEF of all dark monsters (including herself and your opponent's) by 500 and lowers the stats of light monsters by 400. 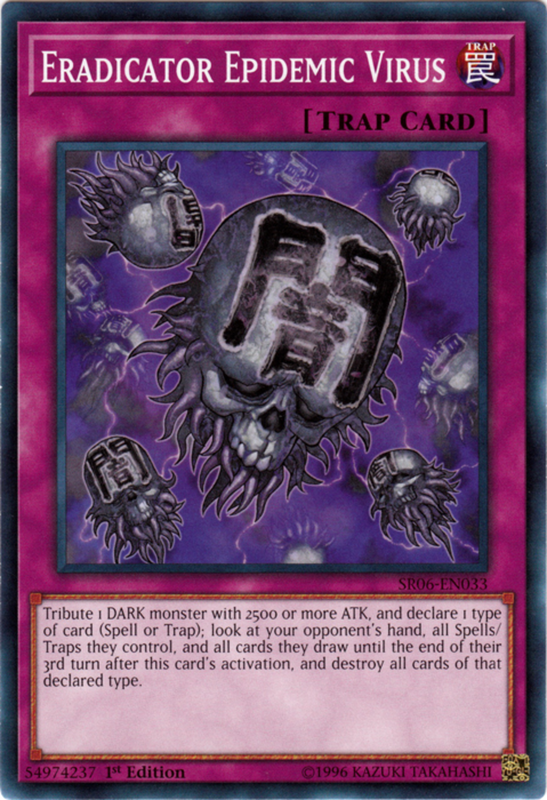 In devoted dark decks, this not only empowers your own team but weakens any light monsters you happen to face. 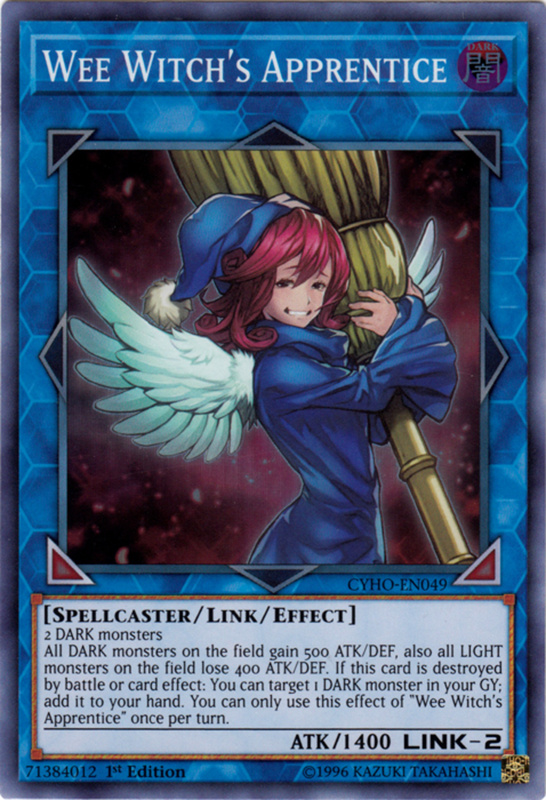 Just be sure to swap Wee Witch with a side deck card if your opponent also runs dark monsters, as they'll receive the same benefit. To quickly search Lair of Darkness, you can discard Ahrima to add one from your deck to your hand. 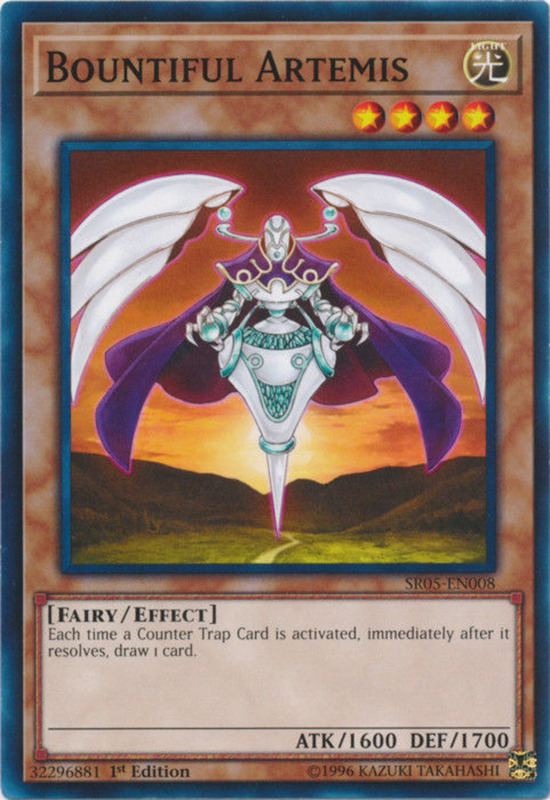 Alternatively, if you summon Ahrima, he lets you once per turn tribute a dark monster to draw a card. 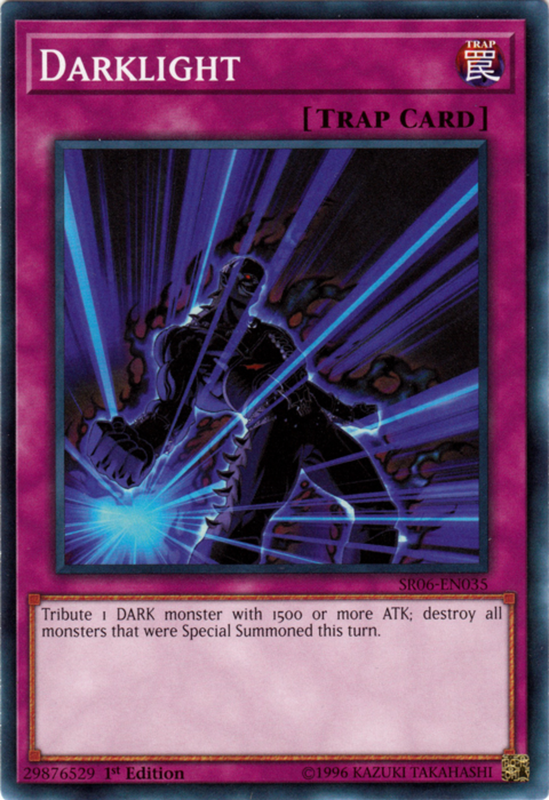 And if you pick a dark monster other than him, you can instead find any dark monster with 2000 or less DEF, letting you control what you receive from the effect. Throw in a decent ATK score and a surprisingly-handy DEF of 0 (which qualifies for supports like "Secret Sect Druid Dru"), and you have a versatile card that works especially well in Lair decks. 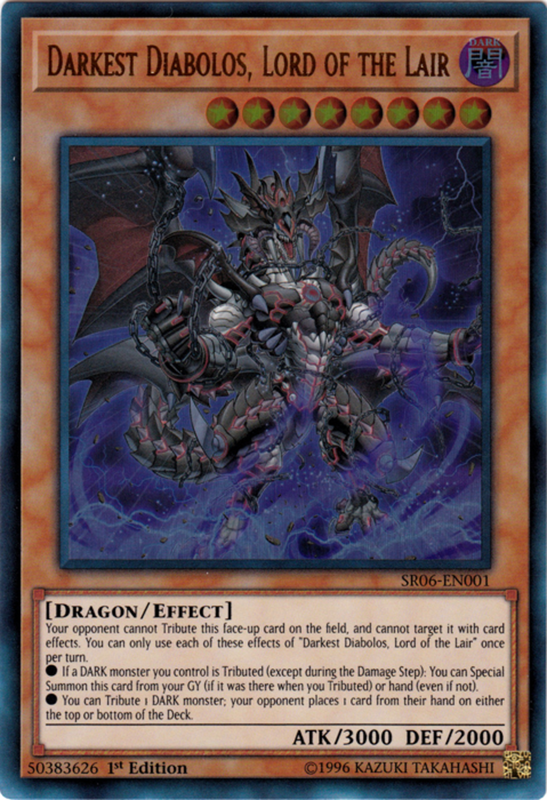 One of my favorite dragons in the game, your opponent can't tribute or target Diabolos with effects, offering two handy defenses. Additionally, he wields a fierce 3000 ATK, and he's easy to field since you can summon him from your hand or graveyard when a dark monster you control is tributed (whether for a summon or an effect). 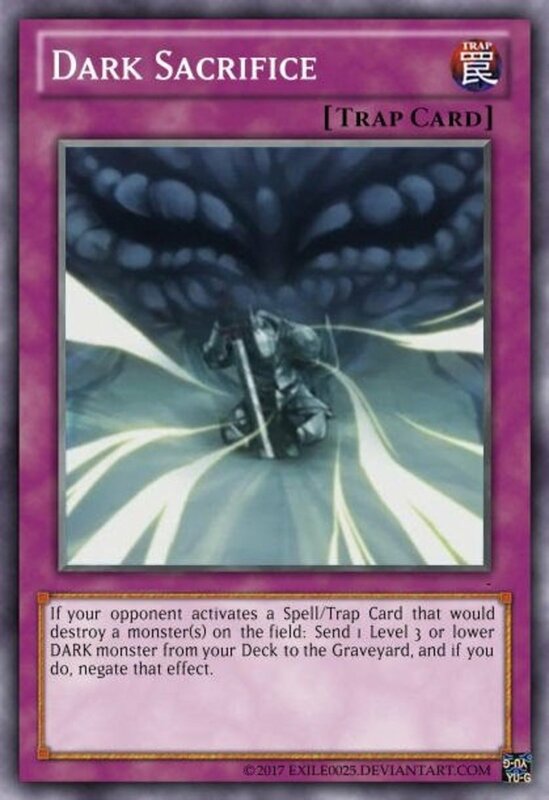 Additionally, Diabolos lets you tribute a dark monster (possibly himself) to have your opponent place a card from their hand on the top or bottom of their deck (their choice), offering a rare hand-decreasing effect that avoids filling their graveyard. You can only use each of Diabolos's effects once per turn, but that's a minor restriction on this formidable beatstick. 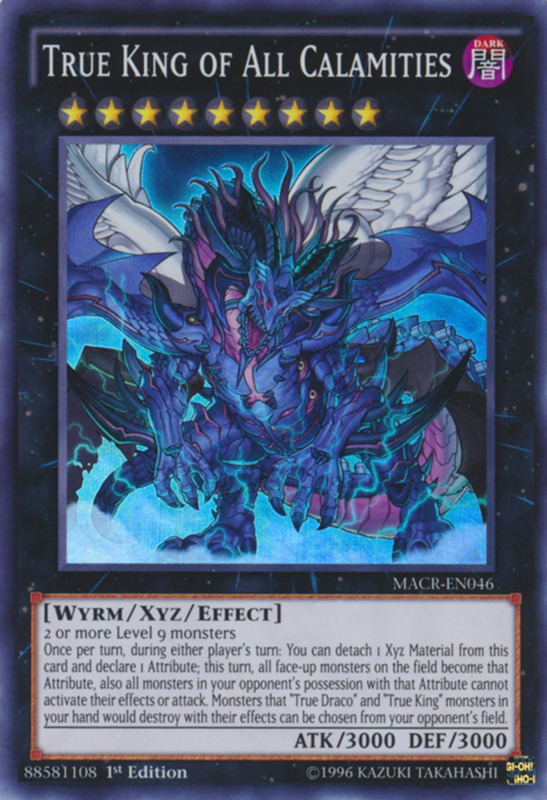 One of the powerful Virus Control traps, Epidemic works well when your deck has beefy dark monsters of at least 2500 ATK. You tribute one, then choose spells or traps and destroy all corresponding cards in your opponent's field, hand, and cards drawn in their next three turns. Not only does this brutal removal eliminate units from multiple zones, it lets you peek at your foe's face-downs, hand, and future draws, gaining a tactical advantage of their upcoming plays. If your build leans towards weaker monsters, try alternatives like "Crush Card Virus", which let you sacrifice smaller units instead. Either way, remember to use Lair of Darkness to tribute opposing monsters instead of your own, further decimating your opponent. 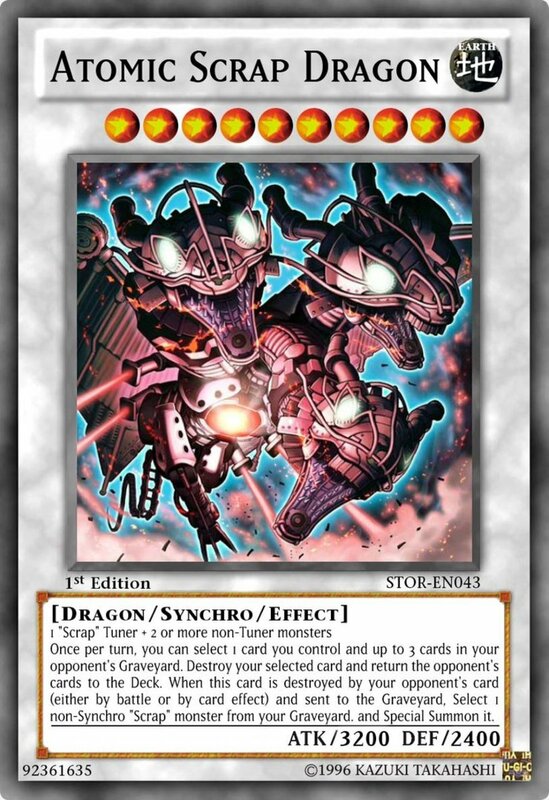 Limited as of this writing, Armageddon Knight is only allowed a single copy in your deck. While his stats aren't particularly strong, he can be normal summoned without tributes. 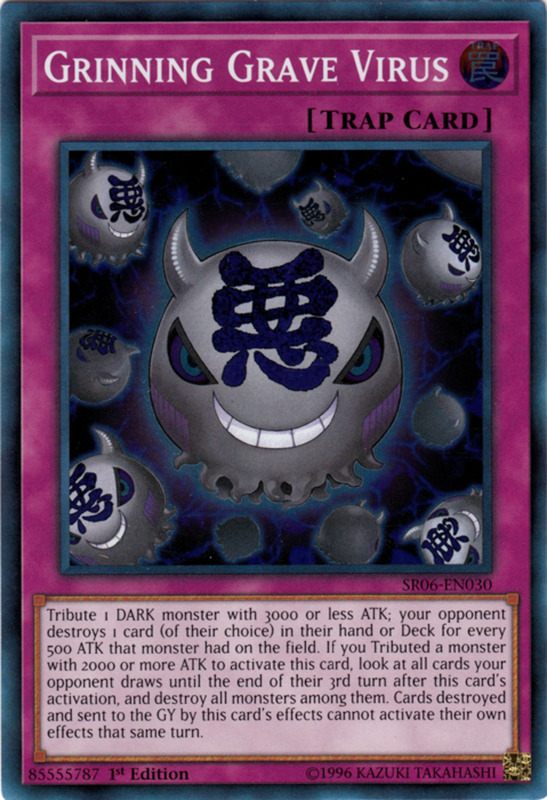 More than that, when he arrives, he sends any dark monster from your deck to your graveyard, adeptly setting it with whatever tricks you need. As icing on the cake, note this works with any type of summoning, not just normal, so you can also activate the ability if Knight is flip or special summoned. 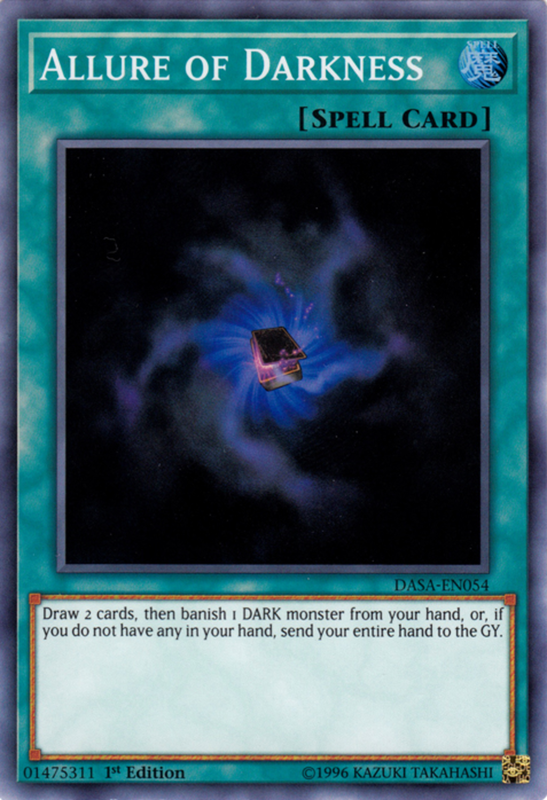 Allure of Darkness is simply the best dark support around, as it has you draw two cards, then banish a dark monster. Your overall hand size doesn't change, but you get to keep what you need and toss what you don't. Plus, even monsters in exile aren't impossible to retrieve, so you can occasionally set yourself for banishment recoveries. Just be careful, as you have to discard your entire hand if there aren't any dark monsters to banish once you've drawn your cards. Still, Allure is a competitive card that works well with any dark deck, and I especially enjoy its lack of a "once per turn" restriction. Fortunately, despite its prowess, it's surprisingly cheap, costing less than three dollars! You can also combine dark monsters with light to access the powerful Chaos warriors, further increasing their versatility. 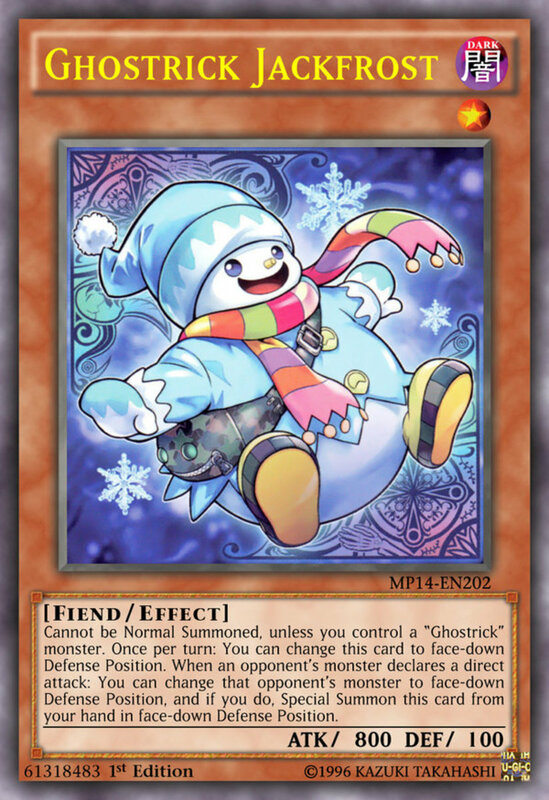 But for now, as we eagerly await Konami's next expansion of dark-attributed monsters, vote for your favorite card and I'll see you at our next Yu-Gi-Oh countdown!